Nov  4 21:40:26 debian sddm-greeter: QObject::installEventFilter(): Cannot filter events for objects in a different thread. nov 05 14:07:08 debian systemd: sddm.service: Failed with result 'exit-code'. nov 05 14:07:10 debian systemd: Stopped Simple Desktop Display Manager. nov 05 14:07:10 debian systemd: sddm.service: Unit entered failed state. nov 05 14:07:10 debian systemd: sddm.service: Failed with result 'exit-code'. nov 05 14:07:10 debian systemd: sddm.service: Service hold-off time over, scheduling restart. 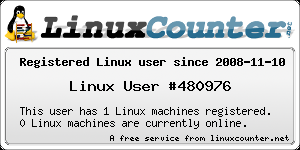 nov 05 14:07:10 debian systemd: sddm.service: Start request repeated too quickly. nov 05 14:07:10 debian systemd: Failed to start Simple Desktop Display Manager. Le metiste alguna theme a sddm?? fijate si eliminando los archivos de configuración de sddm y volviéndolo a instalar se soluciona el problema. Otra "solucion" paliativa es la de instalar lightdm. # Repositorio de actualizaciones anteriormente conocido como "Volatil"